The town's name probably refers to the presence of a church dedicated to St. Martin of Tours. The second part of the name was added to distinguish it from other municipalities with the same name and focuses on its particular location, suspended between two hills. 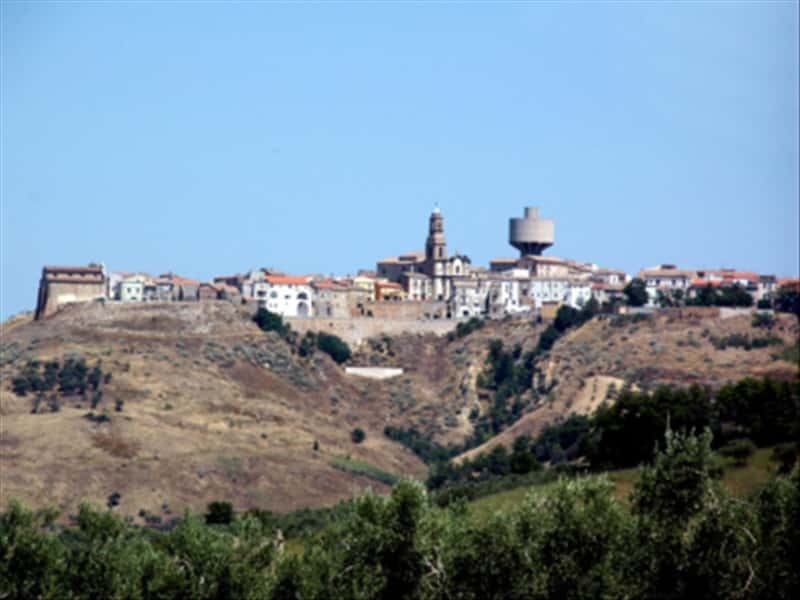 Municipality in the province of Campobasso, situated on a hill and surrounded by vast areas planted with olive trees and vines, the territories are washed by the river Biferno and the streams Saccione and Cigno. It borders with the nearby Apulia region and preserves part of the vast forest that once enriched the whole area. The oldest part, still surrounded by walls, is perched on the hill, while the remainder lies in a less steep area. There is no certain information about the date of foundation of the village, but authoritative sources suggest that following the invasion by the Goths, in the year 495 AD, some inhabitants of the ancient city of Cliternia, sought refuge on these higher and more easily defensible grounds and built a church dedicated to San Martino, bishop of Tours. In fact, the presence of this church is attested in a document of the early XII century. Under the Lombard domain, the town was assigned to the Principality of Benevento, while under the Normans, at the end of the XII century, it depended from the County of Loritello. In the XV century, the surrounding area was populated by Albanians, who sheltered here after fleeing from the Balkans invaded by the Turks. - the Baron's Palace, originally a castle with battlements and drawbridge, transformed, over the years, into a noble residence, it has completely lost its original aggressive appearance. This town web page has been visited 23,633 times.